Winner of the 2011 Orange Prize for Fiction. 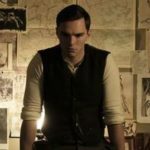 In a Balkan country mending from war, Natalia, a young doctor, is compelled to unravel the mysterious circumstances surrounding her beloved grandfather’s recent death. Searching for clues, she turns to his worn copy of The Jungle Book and the stories he told her of his encounters over the years with “the deathless man.” But most extraordinary of all is the story her grandfather never told her—the legend of the tiger’s wife. With fables and allegories, as well as events borrowed from the headlines, [Obreht] illustrates the complexities of Balkan history, unearthing patterns of suspicion, superstition and everyday violence that pervade the region even in times of peace. Reaching back to World War II, and then to wars that came before, she reveals the continuity beneath the clangor … Ingeniously, Obreht juxtaposes Natalia’s matter-of-fact narration with contemporary folk tales that are as simple, enthralling and sometimes brutal as fables by Kipling or Dinesen … Filled with astonishing immediacy and presence, fleshed out with detail that seems firsthand, The Tiger’s Wife is all the more remarkable for being the product not of observation but of imagination. Téa Obreht’s stunning debut novel, The Tiger’s Wife, is a hugely ambitious, audaciously written work that provides an indelible picture of life in an unnamed Balkan country still reeling from the fallout of civil war … It’s not so much magical realism in the tradition of Gabriel García Márquez or Günter Grass as it is an extraordinarily limber exploration of allegory and myth making and the ways in which narratives reveal — and reflect back — the identities of individuals and communities: their dreams, fears, sympathies and hatreds … As Ms. Obreht parcels out chapters of these two fables, she gives us vivid portraits of Gavo, the tiger’s wife and other fairy-tale-like characters. By peopling The Tiger’s Wife with such folkloric characters, alongside more familiar contemporary types, Ms. Obreht creates an indelible sense of place. Obreht's swirling first novel, The Tiger's Wife, draws us beneath the clotted tragedies in the Balkans to deliver the kind of truth that histories can't touch … Her thoughtful narrator must navigate the land mines – literal and political – that still blot the countryside. Natalia's world is a steampunk mingling of modern technology and traditional tools – cellphones and antibiotics alongside picks and poultices … Its sentiments are refreshingly un-American. Anxiously youth-obsessed, we've always been awkward and weird about death; our rituals for grieving and commemorating are still chaotic and ad hoc. But The Tiger's Wife never strays far from the desire of desperate people to do right by the dead, no matter how much time has passed. 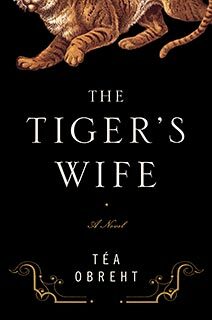 What did you think of The Tiger's Wife?